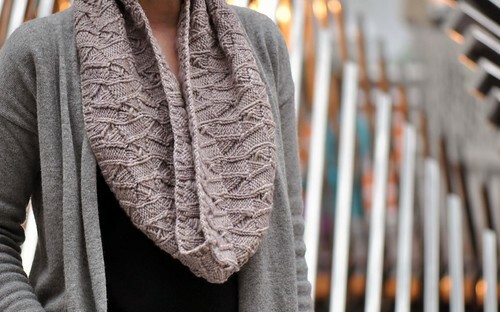 Signal Hill is a cushy circular scarf with a deep and interesting texture. 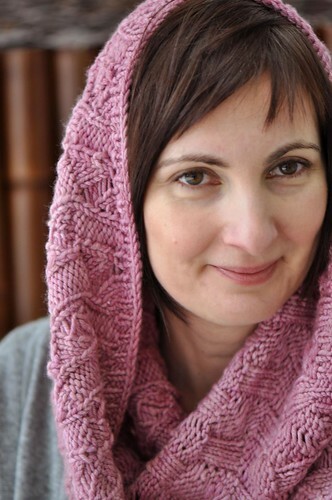 The Dropped Stitches pattern is easy and fun to work, featuring an unusual use of yarn overs. Though they’re different, both sides look great. 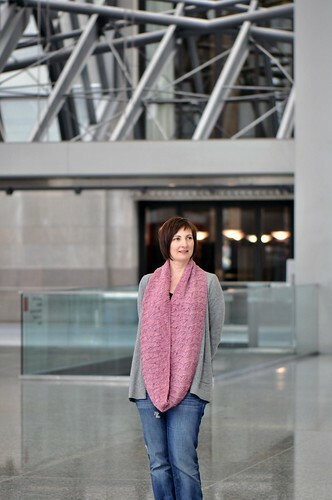 The cowl size is just right for hanging around your neck in a single loop, or doubled for extra warmth, while the larger scarf size will keep all the drafts out! Available as part of The Map Collection. Aran or heavy worsted weight yarn. 300 (450) yds / 274 (411)m.
18 sts and 28 rnds = 4” / 10cm square in Dropped Stitches pattern in the round. 3 page PDF pattern includes charted and row-by-row directions, photos and abbreviations. Measurements in imperial and metric.